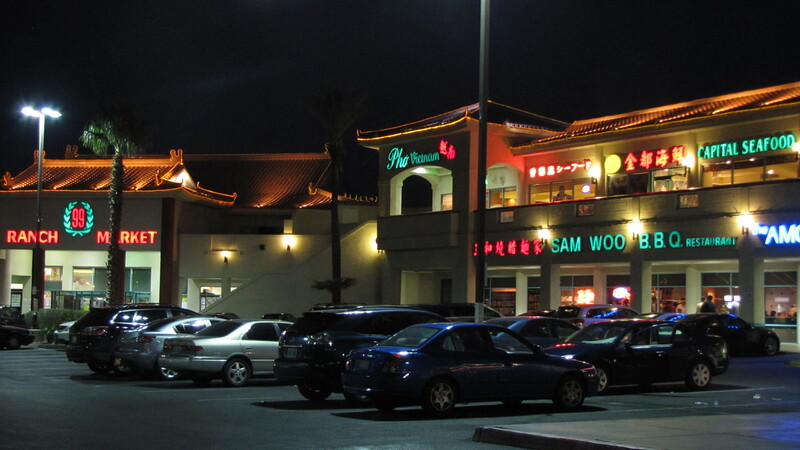 Chinatown Plaza, the very first of the Asian-themed shopping centers on Spring Mountain Road, is seen at night. LAS VEGAS - The biggest story from the 2010 census in the southwest is that Hispanics led the region's population growth. But Asians enjoyed the most dramatic rate of growth in the region over the last decade. In Nevada, the Asian population more than doubled. There is nowhere better to observe that change than along Spring Mountain Road in Las Vegas, home to the city's Asian business district. At the Greenland Supermarket on Spring Mountain, customers fill their carts with Korean junk food and Asian produce. Hyon Lee, a casino card dealer, has been shopping here since the store opened about a year and a half ago. She can find snacks that remind her of her native Korea, like pom corn. "It's like chestnut flavored popcorn," she explained as she headed to the checkout counter. Next to the grocery store is a food court where a large screen television is tuned to Korean news. One chef prepares an order of slow cooked pork. There's a store devoted to Asian beauty products and another where you can buy DVDs of Korean TV shows for $1. At the entrance, there are stacks of free newspapers catering to readers from Japan, the Philippines, China, and of course, Korea. This shopping center is Las Vegas' "Koreatown." But just a few years ago, it was a very different place. It was an Albertson's supermarket. The Albertson's and the strip mall it anchored failed. So in 2006, Hae Un Lee, a local businessman, decided to buy up the whole 10 acre lot and turn it into Koreatown. Lee, who emigrated to Las Vegas from Korea 30 years ago, replaced the roof with blue tiles -- in a pagoda style -- and installed Korean lanterns in the entrance. "I wanted to build up Korean culture in the U.S.," Lee said. Koreatown is only the most recent Asian-themed strip mall built along Spring Mountain Road. Over the last decade, pagoda trimmed shopping centers, covered with signs in Chinese, Korean and Japanese, have multiplied along a three-mile stretch of the street. The new Asian residents in Las Vegas live everywhere, but this is where they shop, and come together. These shopping centers also serve as de facto community centers for Asian immigrants. On a recent weekend, dozens gathered at Koreatown for a free tax clinic sponsored by the Asian Chamber of Commerce and the local chapter of United Way. Among them was Tim Cai, who emigrated to Las Vegas from Shanghai in 2002. 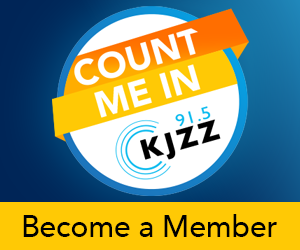 In the past few years, he says it’s become easier and easier to get the services he needs in Las Vegas as a Mandarin speaker. "If you need to see doctor, the doctor speaks Chinese," Cai said in Mandarin. "If you need to see lawyer, the lawyer can speak Chinese. You need to do your taxes, the Asian Chamber of Commerce can help you in Chinese." Michael Hong is also here for tax help. He is Korean, and like many Asians who came to Las Vegas in the last decade, Hong moved from Los Angeles, where he had been living for 35 years. He was drawn to Vegas in the middle of the last decade when jobs in the casino hotels were plentiful. "[It was] easy to have a job at the time, you know?" he said as he waited to meet with a volunteer. "So I came from California to live here." And as more Asians have moved to Las Vegas, it’s had a big and very welcome impact on the city's cuisine. Las Vegas Chinese food used to be mainly those buffet-style sweet and sour pork dishes, or chop suey. These days, Spring Mountain Road has become a destination for authentic, regional Asian cuisine offering everything from Vietnamese banh-mi style sandwiches, to Filipino adobo to red bean pastries. Lee, the owner of Koreatown, has his own idea about this street's future. "Some day," he said. "I'll ask government to change Spring Mountain Road to 'Asian Street'."